(John) Furley Lewis (1867-1939), Photographer. Artist of 1 portrait. This photograph is signed and inscribed 'Yours in true fellowship/J. Keir Hardie/1.1.1903'. The portrait in the background depicts Hardie's fellow socialist John Elliott Burns. 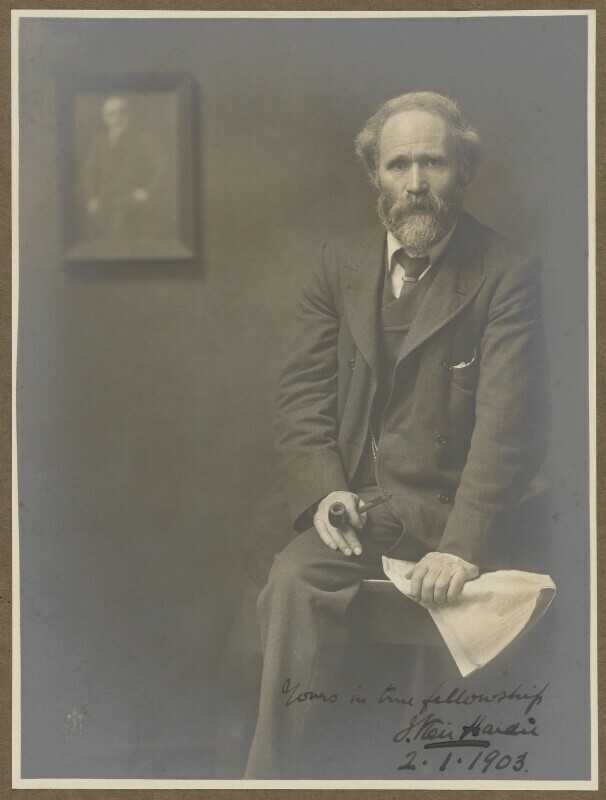 Keir Hardie didn't pay the artist, Furley Lewis, for this portrait as late as January 1903. This left the artist "desperately hard up".